The MA route of this course is now full for 2018/19 entry. You can still apply for the MSc route. If don't wish to apply for the MSc, then please take a look at some of our other available courses. Serious about working in games? Then enrol at the industry endorsed finishing school for games developers and artists. Gamer Camp: Pro (MA and MSc Video Games Development) has been created in partnership with the likes of Sony Computer Entertainment Europe, Codemasters, Rare and Exient. 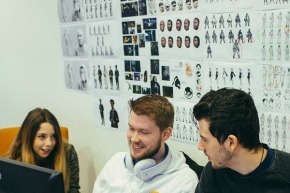 We aim to help you become the perfect recruit for development studios within the game industry, uniquely combining professional, multidisciplinary game development practice with the latest industry insights and tools. It's a winning formula. 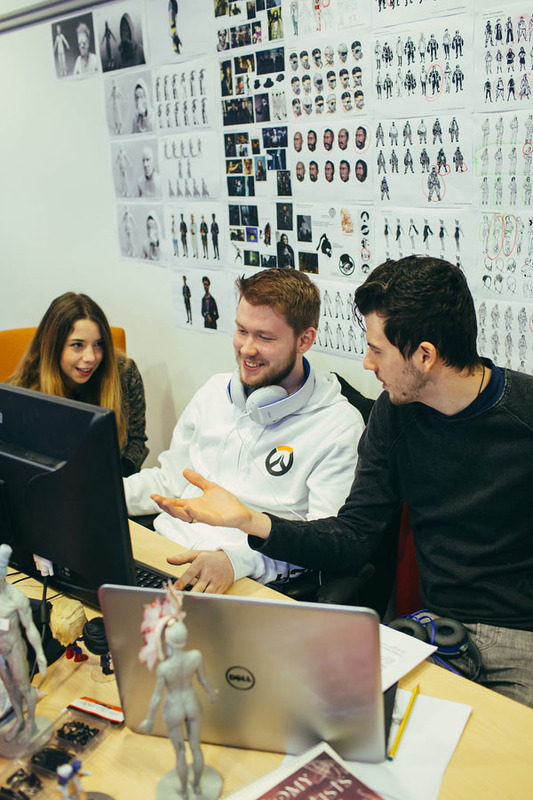 With mentoring from industry veterans and support from leading game development teams, our graduates are prepared for success. Recent graduates are employed by companies including Creative Assembly, Ubisoft and Codemasters. On Gamer Camp: Pro, you'll eat, sleep and breathe game development, receiving intensive tuition from industry pros with experience at big-name developers like Free Radical Design, Electronic Arts and Codemasters. The course was developed in partnership with the industry to provide a ‘finishing school’ that produces work-ready graduates with the practical skills they need to be successful. Many companies recruit directly from the course, giving you access to jobs that you would not come across elsewhere. 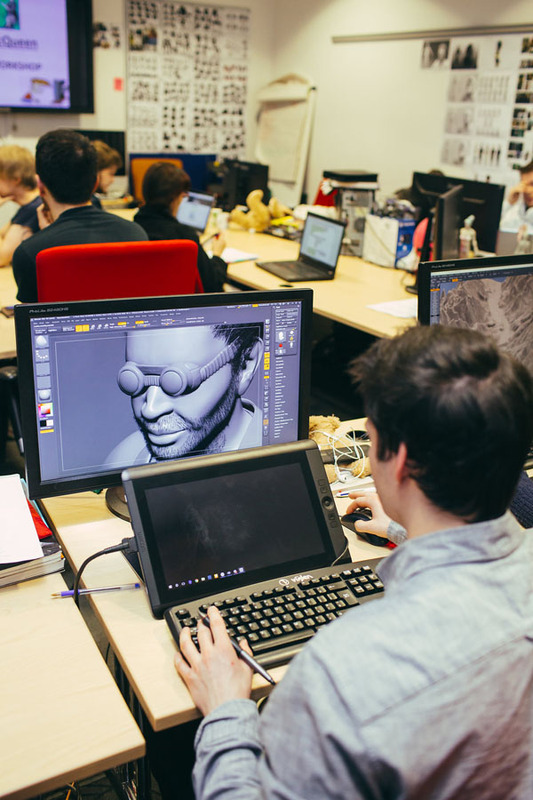 You will get specialist skills training, mentoring and support from leading game developers, the chance to develop a working game that can be published, and experience every stage of the game development cycle. You will receive real game briefs, training and mentoring from industry partners such as Sony Computer Entertainment Europe, Exient, Mediatonic, Rare and Codemasters. 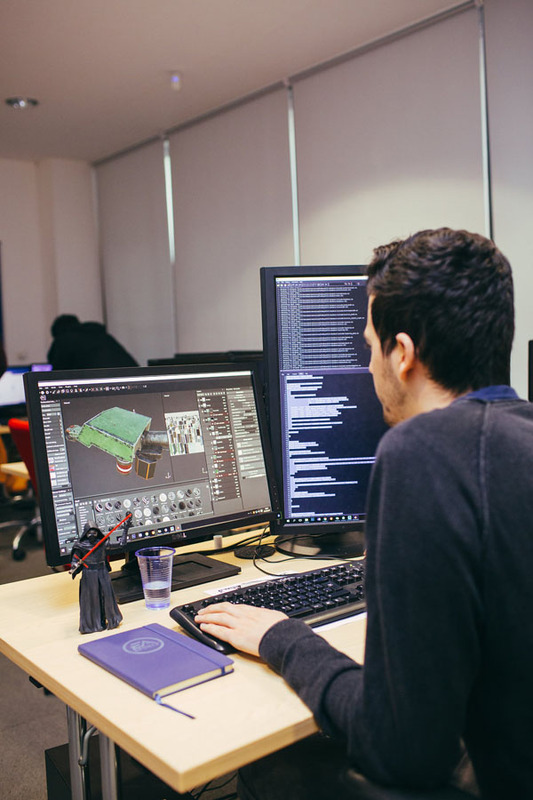 Working in teams in your own game development studio at NTI Birmingham, you will be provided with all the software you need for the duration of the course. You will create a fully working game for a series of platforms, culminating in the development of a working PlayStation4 game prototype for Sony Computer Entertainment Europe. 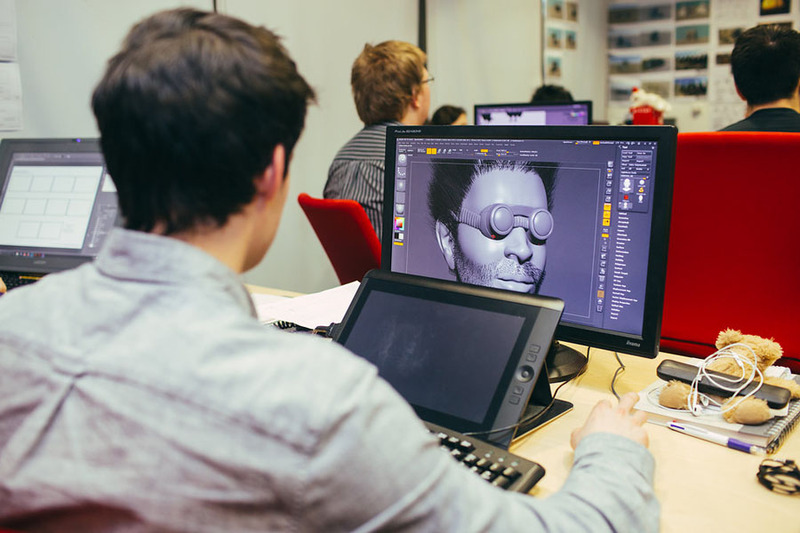 One of the only courses of its kind in Europe, designed to produce ‘work-ready’ graduates for the games industry. We were also one of the first five courses in Europe to be given PlayStation4 development kits, and we are proud members of the Sony Academic Alliance and PlayStation First scheme. You will receive real game briefs, training and mentoring from industry partners such as Sony Computer Entertainment Europe, Codemasters, Rare, Exient, Natural Motion and Mediatonic. 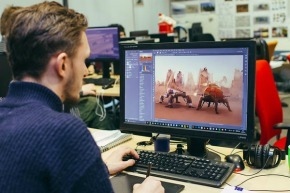 You will gain a real qualification, leaving with an MA/MSc in Video Games Development, depending on whether you focus on artwork or programming. Your finished games will be submitted for publication, providing another opportunity to attract the attention of industry and get your name known. You will spend eight months producing a ‘vertical slice’ on PS4, in collaboration with Sony London Studio, using Sony hardware and software. Graduates have gone on to work for companies such as Rockstar Games, Creative Assembly, Sega, Codemasters and Sony. The course was founded by Oliver Williams (NTI Director) and Guy Wilday, former Studio Director at SEGA Racing Studio (SEGA Rally) and Head of Studio at Codemasters (Colin McRae Rally), currently Development Director at Sony's London Studio. Degree in computer science, mathematics, physics or related discipline is desired but not essential. We'd like to see a real-time demo and its source code. We'd like to see both a finished executable and source code in order to help us make our decision. Appropriately documented by use of comments. This is in your best interest after all; the easier it is for us to see how good you are, the easier it is for us to be confident in your abilities. Your demo doesn't necessarily need to be earth-shatteringly clever or innovative - we just want to see a real time interactive demo that you've written yourself using C++. If you're stuck for inspiration, why not make a clone of a simple retro arcade game - for example breakout, or Space Invaders. We suggest using the free and open source game library Cocos2dX. *Artists please note: Your portfolio should include examples of sketches and workflow, showing development of ideas, not just finished artwork. Programmers should also have: BE or BTech at 55 per cent or 50 per cent from a 5 star University from a four-year degree in either; Computer Science Engineering (CSE), Information Technology (IT), or Bachelor of Computer Applications. Artists should also have: BA in Visual Communications, Art and Design or any relevant art subject. Artists should supply a portfolio that demonstrates their art skills. This should illustrate your chosen discipline if you have one, or at least your proficiency in either 2D or 3D. Carefully choose what to include in your portfolio; quantity is less important than quality. You will be judged on your worst piece of art. Your portfolio is the key to employment. If you can't create good art, your experience doesn't matter. 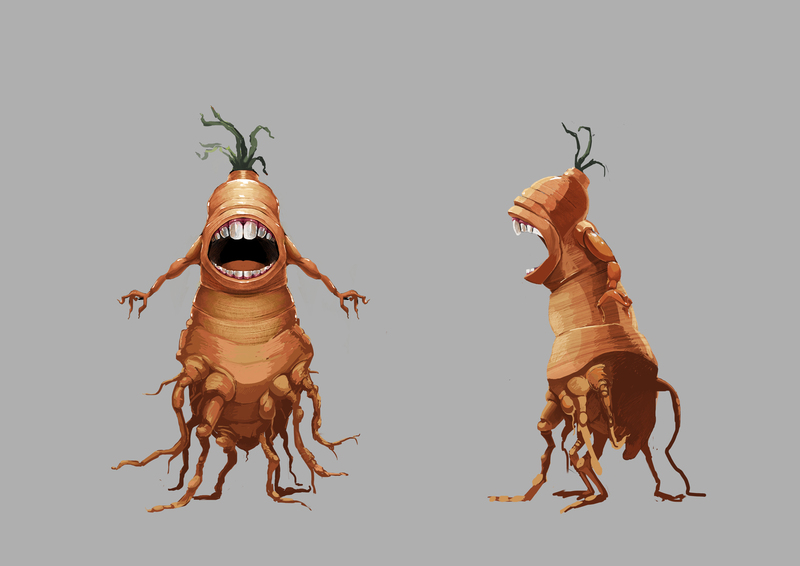 It's also okay to include art that is less related to the game industry in your portfolio. Art such as graphic design or photography can demonstrate your breadth of talent. Coders should supply a portfolio that demonstrates their coding skills. This should illustrate the main programming languages you have used, and also the final executing pieces of work. Your code quality will be analysed. Is it well designed and easy to understand? Is your code nicely formatted and well-commented? Does it take Object-Orientation into account? Are there any clever algorithms being used? Does it execute in an optimised manner? Is the code easy to extend? Have you demonstrated multiple aspects of your ability? Do you show a deep understanding of how computers work under the hood? Are your applications fun/powerful? The purpose of this module is to give you the experience and challenge of completing the research and concept phase of a small-scale video game project. 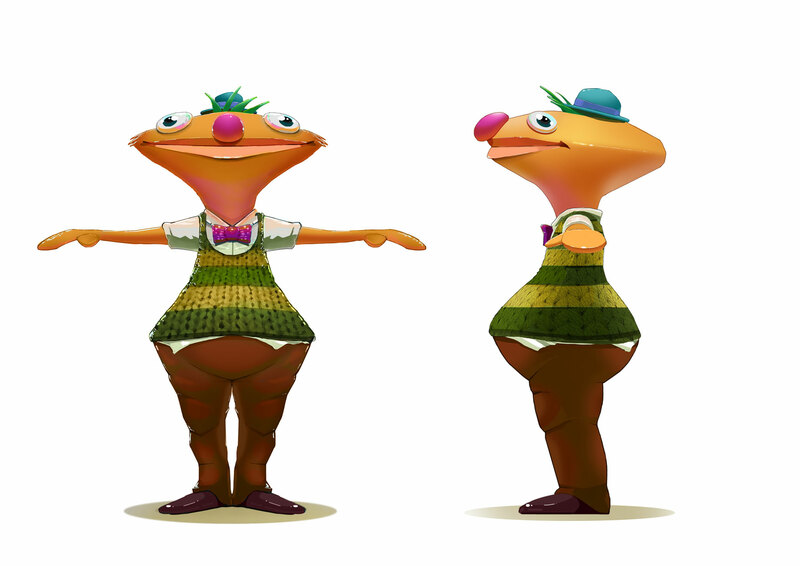 You will work in teams to research art styles and comparative game products. The work you will be given will mirror industry practice and require an element of co-operation and team work (programmers, designers and producers). 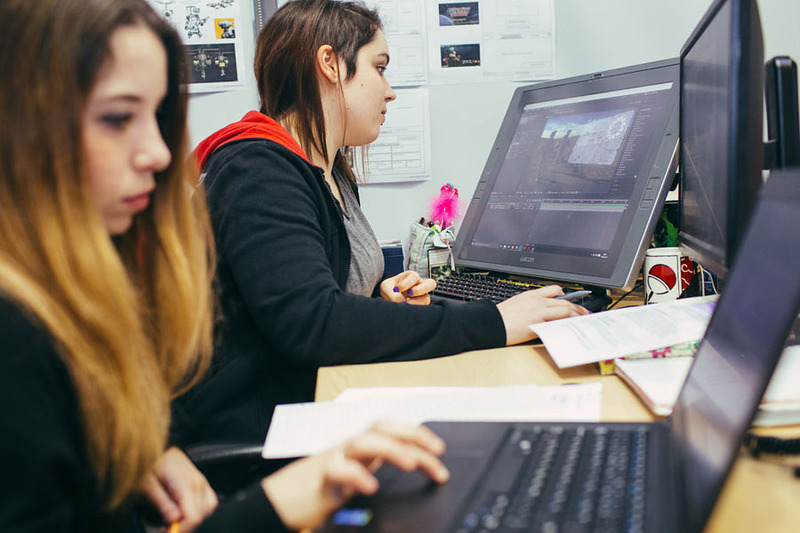 The purpose of this module is to bring together art, code, production and design students into a game development team and give them the opportunity to work collaboratively to produce a releasable small-scale video game. Students on the module will be taught both industry-standard and discipline-specific techniques, which will focus on their specific skills as well as broad skills covering teamwork, communication and estimating. The focus of the module will be on your chosen discipline, for example environment, concept, character, GUI/UX, animation or technical art. This module will focus on the research and concept phase of a coordinated yet adaptive video game project. The work you will be given will mirror industry practice and require extensive cooperation and teamwork within a large art team and wider development group (programmers, designers and producers). 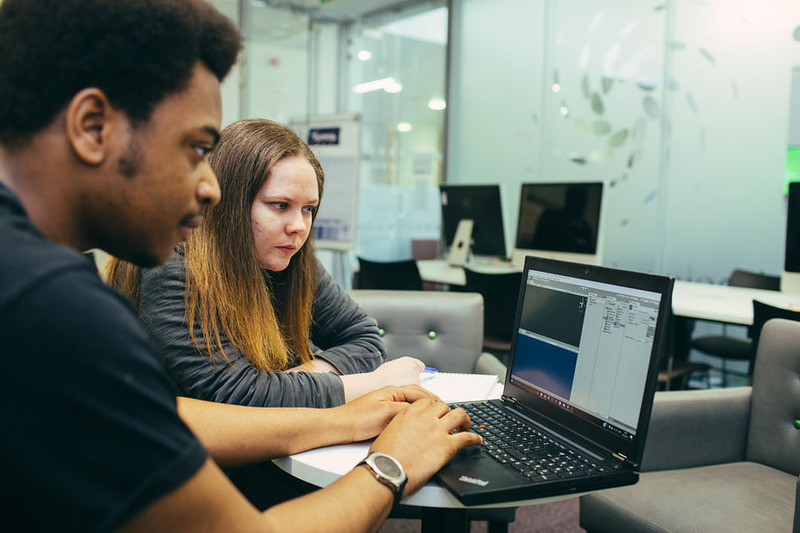 The purpose of this module is to bring together art, code, production and design students together into a game development team to work collaboratively to produce a prototype for a large-scale game on either console, PC or connected devices. Typically this is the type of title commonly described as AAA (Triple A) title. If the completed prototype is at an appropriate standard, it can be used as the platform for further development to complete a demo for an AAA product, which will act as a powerful asset on your CV. Within this module, the production team will be invited to take over the executive producer role of the team, and together you will originate, execute and deliver a full ‘vertical slice’ console game, commonly described as AAA (Triple A) title. This experience will further develop and consolidate your mastery of key skills, as well as knowledge of, and engagement with, current opportunities in the field. The purpose of this module is to give you the opportunity to experience the challenge of completing the research and prototype phase of small-scale video game project. You will work in small code teams to research appropriate gameplay implementation within a defined framework and to coding standards. The work you will be given will mirror industry practice and require an element of cooperation and teamwork within a small code team and wider development group (artists, designers and producers). 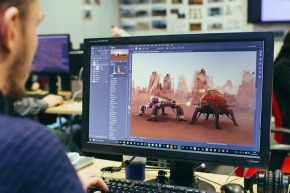 The purpose of this module is to bring together art, code, production and design students into a game development team and give them the opportunity to work collaboratively to produce a releasable small-scale video (indie) game. Students on the module will be taught both industry-standard and discipline-specific techniques which will focus on their specific skills as well as broad skills covering teamwork, communication and estimating. 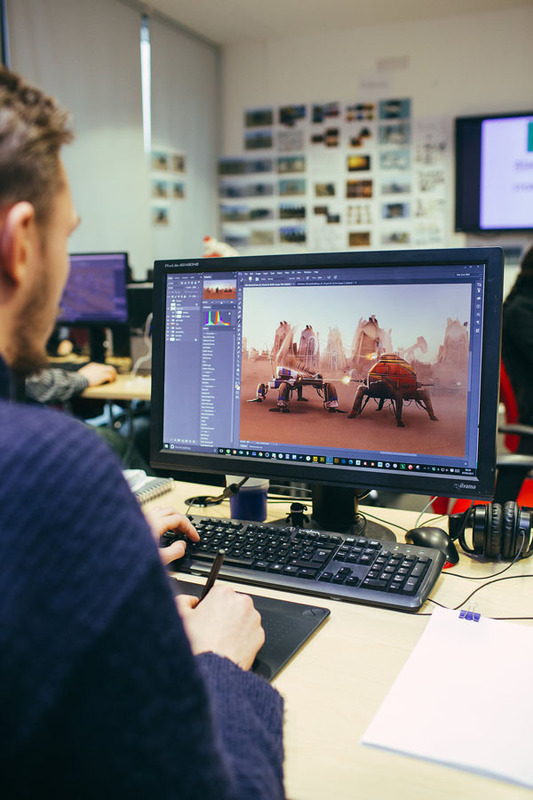 The purpose of this module is to give you the opportunity to experience the challenge of completing the research for a coordinated yet adaptive video game project. You will work in a large code team to research appropriate code implementation for framework level game development. 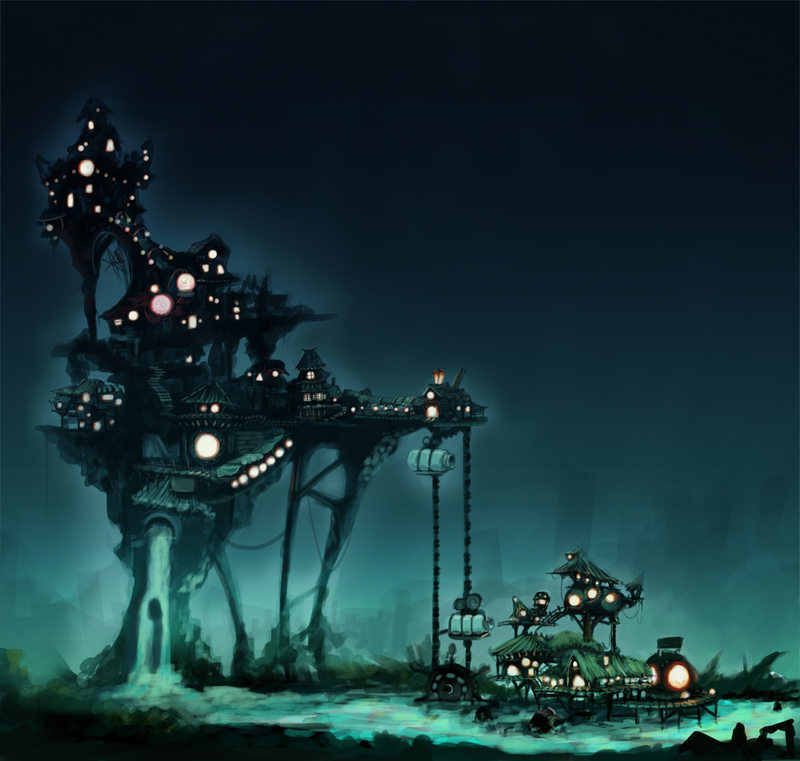 The focus of the module will be on low-level programming to enable further development of a large-scale video game. You will look specifically at systems such as player control, game play, AI, graphics and rendering and game framework. Within this module, the production team will be invited to take over the executive producer role of the team and together, you will originate, execute and deliver a full ‘vertical slice’ console game, commonly described as AAA (Triple A) title. This experience will further develop and consolidate your mastery of key skills, as well as knowledge of, and engagement with, current opportunities in the field. 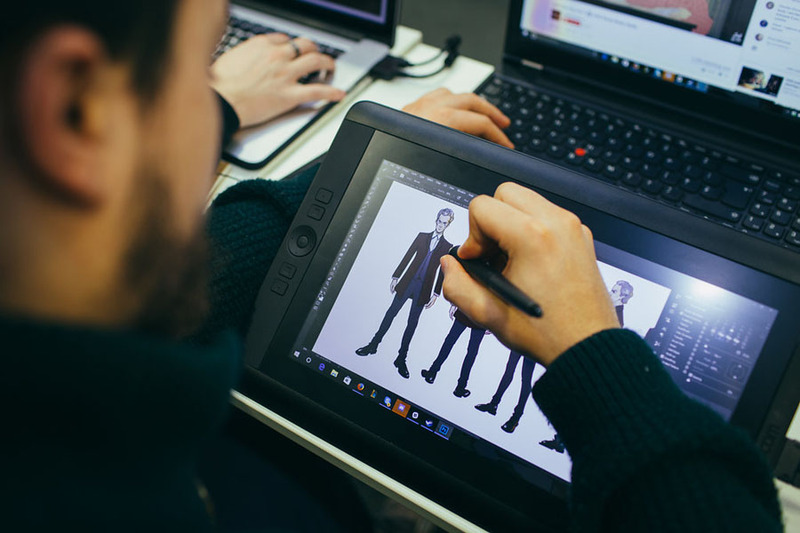 You’ll be split into two groups - programmers and artists, and provided with industry-crafted training throughout the course, tailored to your discipline. You will learn the fundamental skills used every day in the games industry. 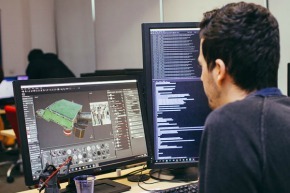 Programmers will study topics such as C++, maths, debugging, coding standards and source control, while artists’ training will cover topics including the concept design process, using Maya for game assets, Z Brush and retopology, plus the correct use of source control and project management. Programmers and artists will be placed together to learn in teams, but will be assessed as individuals. Within each phase, you'll learn the skills you need to create games as a programmer or artist for each platform from our in-house game development veterans and external mentors from the game industry. You will work in teams to produce a mobile game and a PlayStation4 console game. This will simulate both the indie and AAA game development experience. This is all about you, your professional development, your pursuit of perfection and your proven application of knowledge to practice through an intense game development experience that showcases your expertise, talent and professionalism. Gamer Camp: Pro is a real studio environment. There are neither traditional exams nor lengthy dissertations, instead you'll work full-time hours (9.30am - 4.30pm, Monday to Thursday) over 11 months. 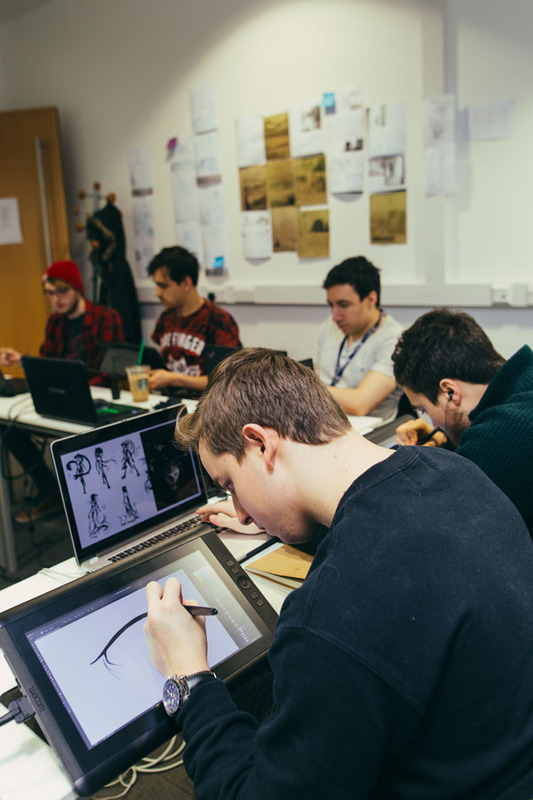 As part of your study you will take part in a largely practical environment as a member of a game design team adhering to project briefs. These briefs are given to your team which you work together to achieve under the guidance of one of our staff as your mentor. Past students have created work that has been published on the iOS store. We are members of both the video games trade associations, Ukie and TIGA (The Independent Games Developers Association). We are also a PlayStation First institution and a very active member of the Sony Academic Alliance. The Gamer Camp: Pro courses directly answer the industry call for “T-skilled” workers in the creative media industry, (Skillset. Strategic Skills Assessment for the Creative Media Industry, London. 2009: 20). Here, professional employability is defined by proficiency across disciplines and specialist expertise within them. With this skillset, the programme’s graduates have an advantage and are often employed by industry soon after finishing the course. MSc graduates are C++ programming specialists and the course will have helped shape their core discipline within this field. 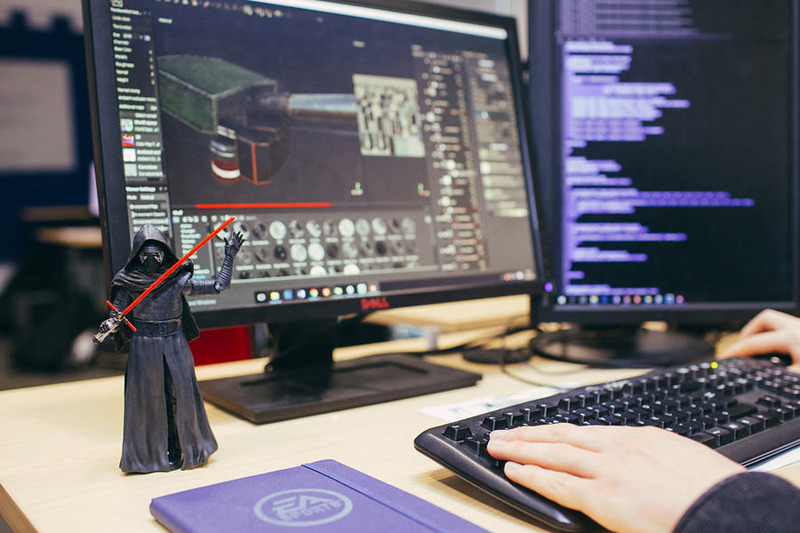 Whether that be tools, graphics, physics or framework, each programmer will have the skills necessary to work within the highly competitive game development industry. MA graduates as art specialists are frequently employed within a multitude of industry-specific roles. 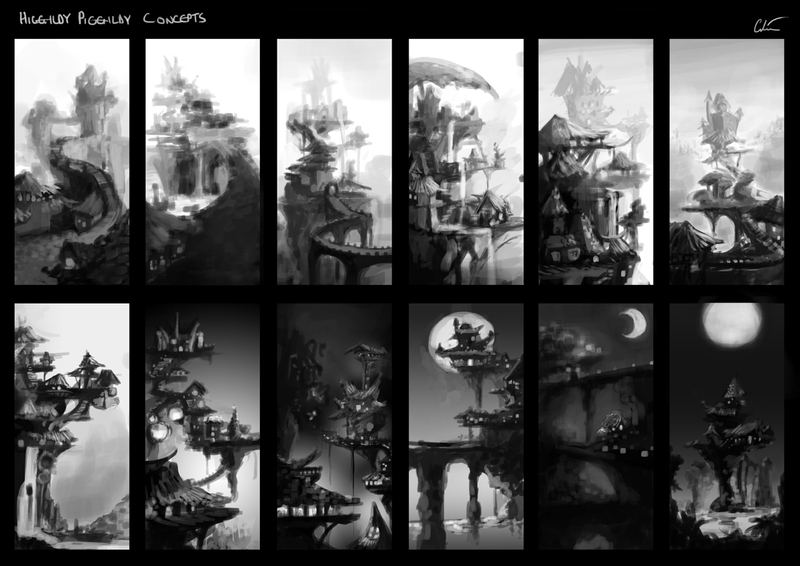 These range from concept, environment, character and GUI artist positions. 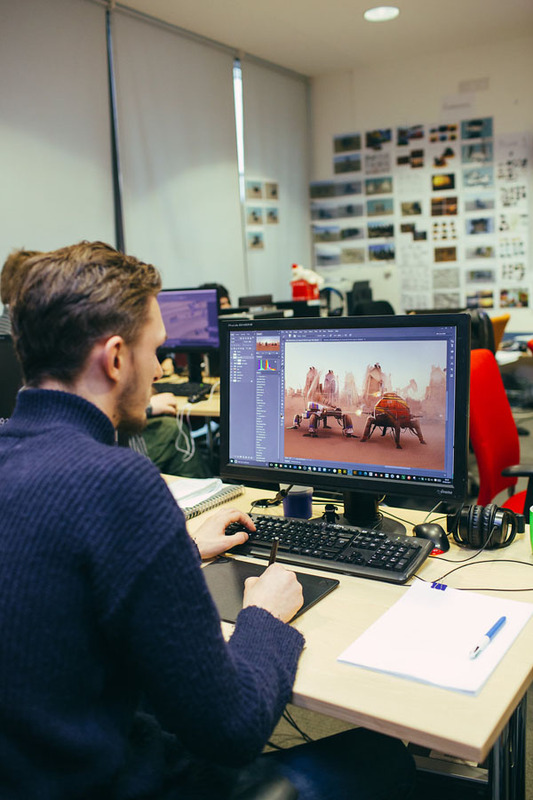 The course ensures that each art student focuses on a core art discipline, which ensures they are ready to work within the highly competitive game development industry. "Gamer Camp is great preparation for a career in games. The opportunities students have gained through the programme are endless." 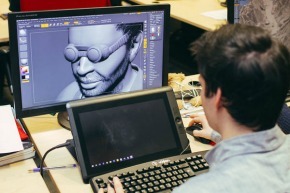 "PlayStationFirst works in partnership with select universities in the UK and Europe as we see the development of new development talent in the UK crucial to the continued success of our European studios and the wider video games industry." “If there’s anything potential employers look for most, it’s experience. GamerCamp provides the environment that emulates real-world game studios and offers an opportunity to work within a multi-disciplinary team of Coders, Designers, Artists and Producers. What I enjoyed most about GamerCamp was the hands-on attitude to the work involved. The best way to learn about the complexities of game development is to simply make games! GamerCamp throws you into a room full of other like-minded individuals with varying specialisms and tells you to make a game. 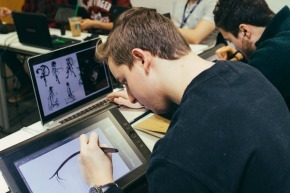 There are opportunities every year for students to work in game development studios. Working with our industry partners, we are able to offer a short placement* over the Easter break to selected individuals. During the final phase of your course, you’ll have the opportunity to undertake a three-month placement* as part of your Master’s by Practice. Previous students have worked at Codemasters, Sony, Exient and Jagex, with the majority having been offered full-time positions on finishing the course. *Please note, placements are not guaranteed and are subject to the requirements of our industry partners. Sony Computer Entertainment Europe (SCEE), Codemasters, Rare, Exient, FreeStyleGames, Playground Games, Mediatonic, Natural Motion, MintGames, Lab42, UKIE and Aardvark Swift (recruiters) have all endorsed Gamer Camp, with SCEE kindly supplying PlayStation4 and VITA development kits for the course in the process. Our partners also kindly offer their time by sending staff to help deliver key discipline specific lectures, sit in on milestone reviews and help mentor students to success. Gamer Camp: Pro is defined by the diversity of its students and their continuing professional development in a constantly evolving, global game market. Every continent and culture are represented in every cohort of our graduates: Europe, Middle East, Africa, Russia, India, Asia Pacific and the Americas. This is a mirror of the game industry itself, which has a global reach. Our New Technology Institute is based in the Curzon Building, a £63 million development, located on our City Centre campus. We help you learn a specific discipline such as digital marketing, programming or art and put that discipline into practice by offering flexible teaching space, dedicated development studios and open access work areas for group projects, as well as course-specific facilities. Dedicated games development studio space. Apple and Android target devices. One high spec PC for game development per code and art student and high spec laptop per business student. As a Gamer Camp student you have your own PC and desk in a games development studio. Wacom Cinetiq graphics tablets for selected art roles, such concept, GUI and character. PlayStation 4 development and test kits. We were one of only five universities in Europe to receive PS4 Dev at launch. PlayStation VITA development and test kits. High spec PC laptop (Games Development, Digital Art and Design and Production) for the duration of the course. MacBookAir laptop (Digital Marketing) for the duration of the course. Dedicated studio space for projects. Access to dedicated studio space including iMac computers to deliver projects with external clients. The NTI expressly reserves the right to change the technology, hardware and software used on its undergraduate and postgraduate programmes wholly or partly, at any time and without giving notice. 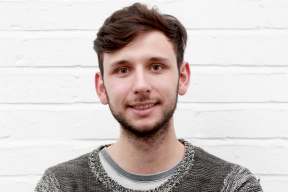 Oliver is Associate Director at the New Technology Institute (NTI), an industry-facing school within Birmingham School of Media that specialises in developing industry-led academic courses. He is also the Studio Director for Gamer Camp, a Masters-level video game development programme. Oliver’s 16-year career spans product development, project management, software development, marketing, management and solution selling. He is an expert in project managing complex interactive media products. Zuby is a seasoned game developer and manager, with a career spanning over 20 years, 15 years of which have been focused within the Games Industry. Starting as a freelance writer for Edge, Zuby went onto work for Digital Image Design, Warthog Games, and EA Games. In 2006 Zuby founded SmashMouth Games (SMG), with a focus on making innovative 'pick up & play' games whilst also starting his career in Higher Education as a lecturer. Zuby has taught graduates who have gone on to have successful careers, working for companies which include Sony, Ubisoft, TT Games and Rockstar North. Zafar Qamar is a Senior Lecturer and the Technical Director at Birmingham City University’s NTI Birmingham, working as part of the Gamer Camp team teaching the MA/MSc in Video Games Development and BSc in Interactive Entertainment (Games Development). Graduating from University of Birmingham in the 90’s, Zafar went on to have a successful career in video games for more than 20 years working for companies including; Psygnosis, Codemasters, FreeStyleGames. Zafar has worked on several titles; Hostile Waters, Cold Winter, F1 2010, 50 Cent Blood on the Sand, Blur Overdrive. He recently joined the NTI team in December 2014 and oversees the development of game programmers on Gamer Camp and Interactive Entertainment. Currently, he is lecturing on two levels, for Postgraduates and Undergraduates and helps students focus on the skills needed to become first-class programmers. "Anyone can play games, or download Apps on their smartphones and tablets and play on them or use them. This is analogous to reading. But how do you write? As technology exponentially develops, the gap between people being able to read and those being able to write is widening. I’ve always loved computers since the age of 12 when my brother bought a “cutting-edge” 48K Sinclair Spectrum! I want to share my knowledge going all the way back to old-skool retro-games like Pong and Asteroids and vector-based displays all the way up to cutting-edge full HD games of nowadays." "I love programming, I love mathematics and I love creating games and apps software. 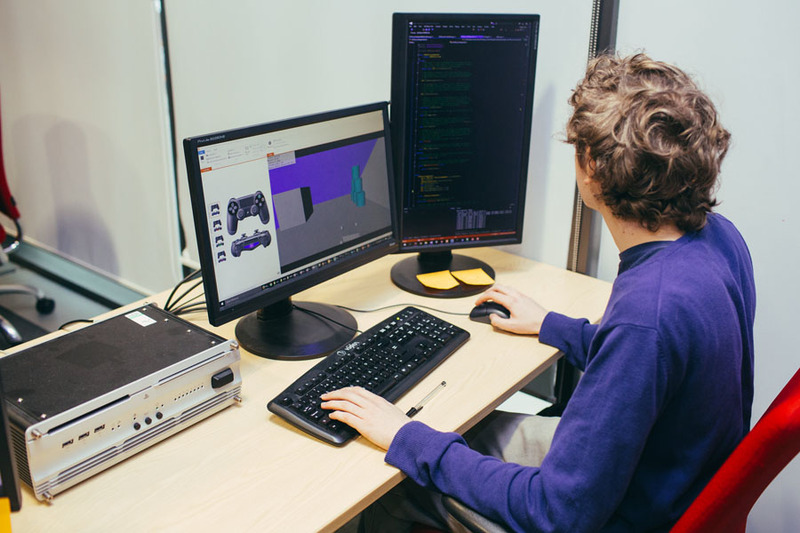 I now love sharing those skills with others and injecting my enthusiasm into them and preparing them to jump straight into the games-industry, or even becoming proficient enough to develop their own games studios." Zafar’s role as Senior Lecturer on Gamer Camp consists of managing the numerous trainees on the course, making sure they are working at an appropriate level that is coherent across all bases. 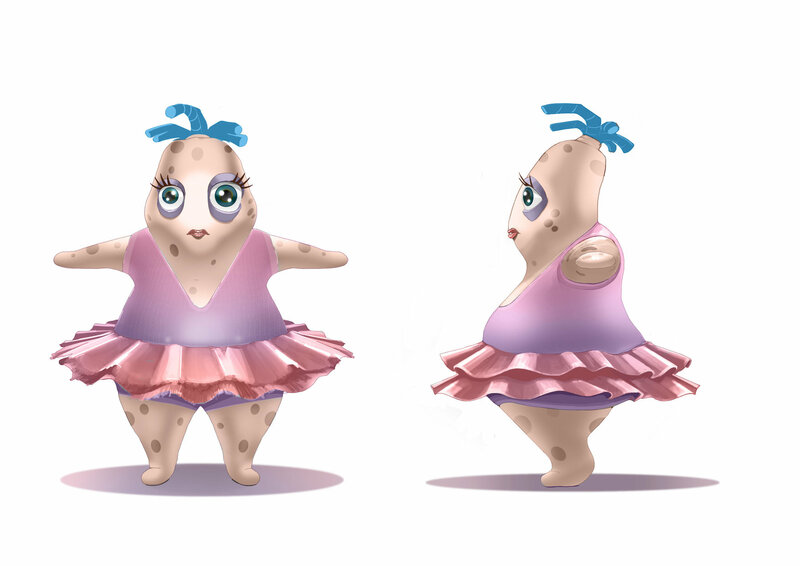 Each trainee on the course is required to meet real briefs in order to enhance their skills as a game developer. Zafar expects a high level of professionalism from all the trainees having previously worked through many games studios from Codemasters, FreeStyleGames and AppCrowd going all the way back to old veteran studios such as Sony/Psygnosis in Liverpool, and Rage Software/Swordfish Studios in Birmingham. "I’ve had some great times in the games industry and it’s been a real pleasure working with some extremely talented and lovely people." "In the olden days we had computers that were ‘all-in-one’ units like the BBC Micro, or Commodore64. You just plugged them into a TV. When you switched them on then after a few seconds they prompted you to start typing something in to them. This seemed quite encouraging to make the users type on their keyboards. Nowadays people switch on their PCs or MACs and start clicking things with a mouse. Which version of Visual Studio? Which Target platform? PC/Mac/Xbox/Playstation/Android phone/Apple iPhone/Microsoft Windows Phone/other? Should I create native programs or can I create something cross-platform (so that it works on multiple platforms without having to re-write it)? Is there a good game-engine/framework/library that I can use/purchase? Unreal Engine/Unity/Marmalade/Xamarin/other? So you can see there are many questions to answer before you’ve even started. This presents a bit of a hurdle for anyone wanting to have a ‘quick go’ at programming!" "Here at Gamer Camp we teach great programming development methodologies based on decades of professional experience, and keep it up to date with the latest technologies, all whilst steering clear of the many bottlenecks and pitfalls that seem to present themselves around us. Work smart and hard." Alex was a founding member of FreeStyleGames, the creators and developers of DJ Hero. His first industry job was as a Prototyping Programmer for Codemasters in 1996, and he has since worked as both a Lead Designer and a Lead Programmer. He currently works as an Indie Developer. 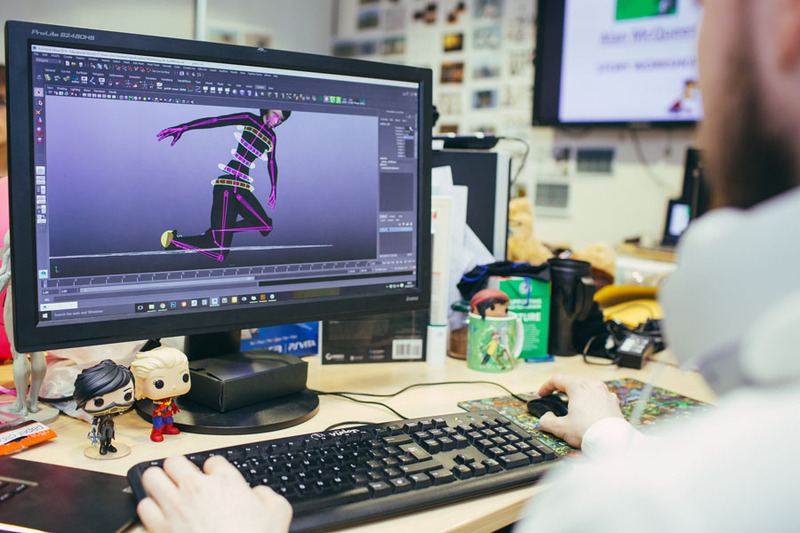 Shaun Magher is a senior lecturer working with Birmingham City University’s NTI department, specialising in Story and Character development, Performance Animation and Digital Art. He teaches on Interactive Entertainment, Video Game Digital Art and Gamer Camp. Shaun helps shape students into industry ready ‘T shaped’ artists. The horizontal strand demonstrates proficiency across various art disciplines and the vertical demonstrate a specialist expertise.